The Yorkshire Motorhome & Accessory Show in Harrogate was another prosperous trade exhibition for Outdoor Revolution, where many customers enjoyed a family day out in the unanticipated sunshine, whilst consumer reaction to our new range of drive away awnings and complementary accessories was phenomenal. We would like to express our sincere gratitude to the cordial team over at Glossop Awnings, who worked diligently, in order to help us attain an abundance of total unit sales, positive brand feedback, as well as an excellent turnout to our stand, all of which surpassed our previous records, culminating in lots of contented customers and what may be our most successful regional shows to date. Our team were thrilled to meet everyone and witness as increasingly more prospects choose our brand, due to the exclusive benefits, along with the unrivalled quality, functionality and affordability of our latest, market leading models. We are confident that those who purchased our products will be delighted with their choices and hope to see you all again in the future. Please feel free to send in any photographs of your awning on your travels with the #OutdoorRevolution for a chance to feature on our social media! As the pioneers of the lightweight awning, it is only natural that our latest premium driveaway awning range stole the show, in our largest and most diverse collection to date, already establishing themselves as firm family favourites and receiving widespread acclaim. Our updated Movelite range remains in the limelight this year, with the sheer style and panache of the revised contemporary shallow gothic arched roof architecture being excellently received. The double ripstop Movelite T1 inflatable drive-away awning astonished motorhoming families with the peerless versatility delivered by such a compact and affordable package, raising the bar in terms of functionality, using its quick erect single inflation point air frame, flexible living/sleeping options and freestanding capabilities, which allow it to double up as an open canopy in summer. Demonstrations from our staff illustrated how the premium best-selling Movelite T2 light weight drive away air awning weekender has retained its reputation as our flagship mid-sized family weekender after years on the market, prospering particularly through its numerous performance upgrades, endless features and three ergonomic height options, designed to accommodate nearly any campervan or motorhome available; a ‘Lowline’ model for low campers or van conversions, such as Volkswagen Transporters (e.g. VWT1, VWT2, VWT3, VWT4, VWT5, Mazda Bongo or Mercedes Vito), plus a ‘Midline’ and ‘Highline’ option, engineered for taller, van based, or coach built vehicles (i.e. Fiat Ducato). Demand for the lightweight double rip-stop Movelite T3 spacious family drive away air awning increased considerably from previous years’, due to its wealth of premium innovations and entirely remodelled design, which was co-created using constructive consumer criticism on its predecessor, really showcasing the customer centricity in this intelligent design. The premium lightweight Movelite T4 oxygen air-framed drive away awning upstaged all of its competitors and reinforced its reputation as the most flexible premium large family weekender for your van, after showcasing its huge internal living space, three cowl height options, integral front vestibule and compatibility with European left hand drive (right hand door) vehicles. As the most cavernous drive away awning in our range; the luxuriously sized Movelite T5 Kombi lightweight inflatable campervan awning weekender remained the most popular choice for extra-large touring groups seeking the very best of everything, impressing customers with its quintessential strength to weight ratio, enormous interior, unlimited configurations, effortless pitching, supreme construction and unparalleled breathability. 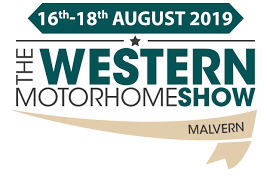 We observed a number of caravanners and motorhomers purchasing the visually stunning E-Sport Air 325 inflatable family porch awning, who claimed that this was easily the lightest, fastest and most versatile partner for caravans or motor homes, experienced at the show. The ultra-light freestanding Cayman Screenhouse 6 pop up six-sided utility gazebo proved immensely popular and held great appeal to outdoors enthusiasts requiring more usable space to complement their camping or touring setup, as well as those seeking a garden shelter, due to its multi-functionality, flexibility and fast pitch time. Our stylish adjustable Sportline Canopi enclosable campervan fixing canopy was certainly a crowd pleaser and was especially favoured amongst light packers and the travelling outdoor enthusiast on the move, who desire a lightweight, accessible and easy to erect accompaniment for relaxing in the great outdoors, with complete protection sun, rain, wind and snow. Delivering an ideal balance between a drive away awning and tall freestanding utility tent; the single point inflation Cayman Midi Air lightweight airframed RV (recreational vehicle) awning was a massive hit amongst smaller families looking for a flexible multi-purpose utility space for cooking, storage, shelter, pets, toilets, or dining on short weekend breaks and overnight stays. The famed Dynamic Speed Valve strengthened its reputation as the quickest, easiest and most reliable inflation valve available, whilst demonstrations of the reliable Intelligent Frame Relief Valve(pressure relief valve) instilled the confidence that we possess in our inflation system, into our customers; the two of these valves is why we are able to provide an exclusive Lifetime Guarantee* on ‘Intelligent Frames! Our new fabrics, lighting, folding chairs and inflatable furniture were overwhelmingly popular, with some lines selling out completely, within a matter of days. Missed us at this one? Visit us at the Romsey Caravan & Motorhome Show at Broadlands Park, Romsey, SO51 9ZD, from 5th-7th April, to discover why our BRAND NEW range of caravan, campervan and motorhome awnings remain at the market forefront for 2019!